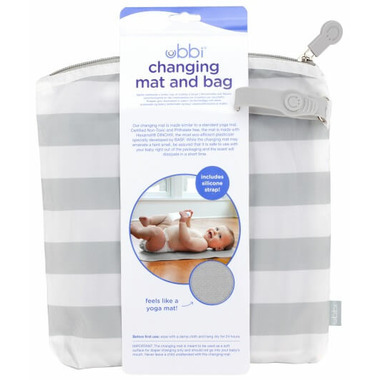 The Ubbi Changing Mat and Bag is a stylish solution that contains an easy-to-clean changing mat made similar to a standard yoga mat. 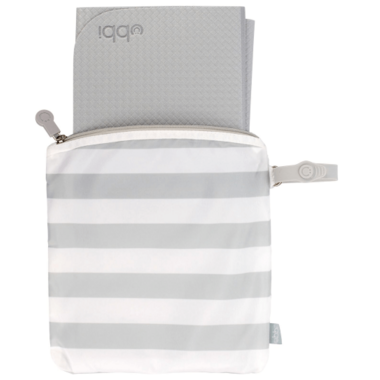 It comes with an easy-to-use silicone strap that conveniently hangs on strollers and diaper bags. 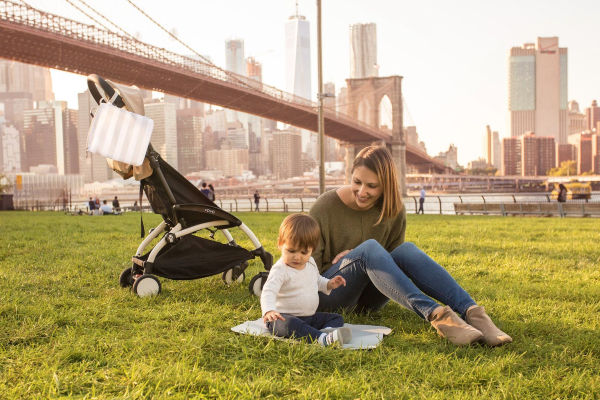 The changing mat bag can hold a couple of diapers, a travel-size wipes dispenser, as well as phone, keys, or whatever is needed for busy parents on-the-go. Dual use as a mat in the park or at home! Open mat dimensions 21" x 15.75"
Product works great. My daughter likes it a lot better then previous change pad. It stays in place better, easier clean up if accidents occur. Love the bag since you can just throw a couple diapers and some wipes in it and be on your way for a quick walk or grocery trip! Love this change pad. Very convenient for on the go changes. Easy to clean too.